The distance was perfect for the partly cloudy day, but spending the entire hike/snowshoe time on the service road got old after a while. 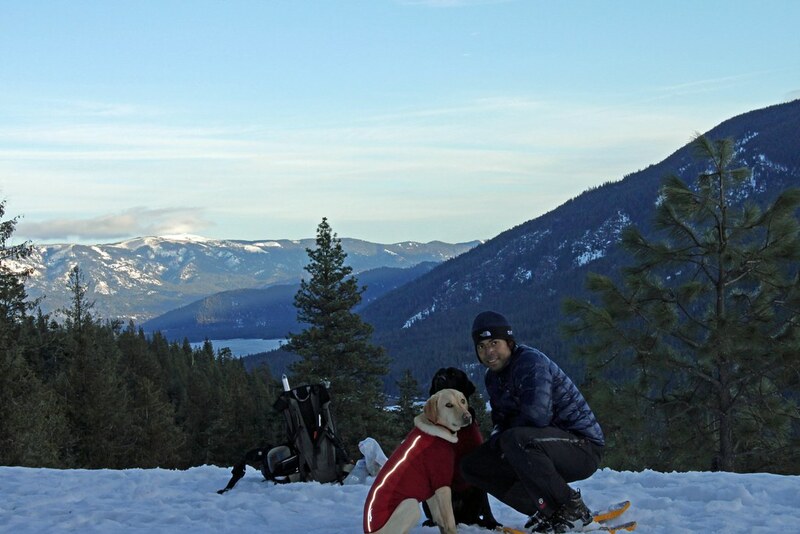 The dogs had fun playing in the snow and the view at the lookout point to Lake Wenatchee was awesome. We scrambled on the way back (thank God for GPS) in order to get off of the mountain before sunset. We got back to the car just after it got dark.